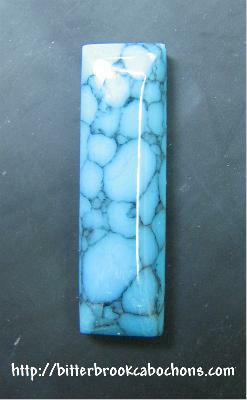 This little freeform rectangle cabochon was cut from a discarded piece of "Turquoise" Truestone. Mooshed and reformed, it's a happy cabochon now because it's been rescued! This was photographed on an Obsidian slab since I was in a remote location at the time, away from my photography "stuff" at home.